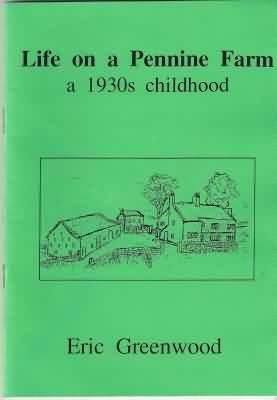 In this section we reproduce excerpts from a book written by a local author who was born at Hartley Royd farm, high on the hill tops above Todmorden, in 1929, and who continued farming until 1972. His sister, Mrs HIlda King, has kindly given us permission to reproduce sections of his work here. The farm itself consisted of some 54 acres, as well as a large area of wooded land to the south and below the farm. The best of the land was around the farmstead, which itself is on the 1000 foot contour, the poorer pasture land rising to the 1100 foot contour. It was really rugged, high, Pennine land, and very exposed and windswept with atrocious conditions in winter. None of the land at that period could claim to be very productive… life had been one long struggle to survive, with very few luxuries if any.